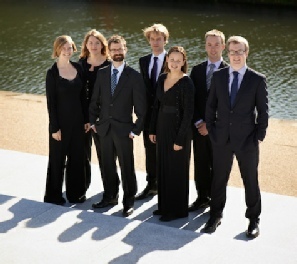 Audience favourites the Berkeley Ensemble return with another delightful and varied programme. Dvořák’s short pieces for two violins and viola are some of the most beautiful music ever written for this combination of solo string instruments. Mozart’s Kegelstatt Trio, for clarinet, viola and piano is an evergreen favourite and, embracing our Eastern European theme, the concert ends with Janáček’s highly atmpospheric Concertino for piano, clarinet, bassoon, horn and strings. As part of Luton Music’s lively outreach programme students from the town will have workshopped with the ensemble new compositions inspired by the folk idioms of Eastern Europe; young dancers from the Sixth Form College will also interpret the music of the Hungarian composer Béla Bartók.